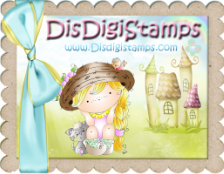 Relax, enjoy life DT card for House Mouse & Friends. 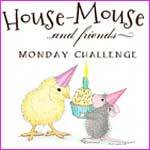 House Mouse and Friends are ready with a brand new challenge for you. image, and I have used my Prismas. and the sentiment is a freebie from Create with TLC. As you can see I have made an easel card. The flowers are from different companies. 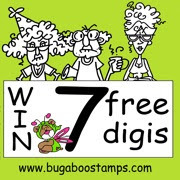 Prize is a $12 Gift Voucher to Di's shop : Di's Digis Downloads. and a wonderful candy from chall host teamie Tom. So what are you waiting for, come and join in the challenge. and see what our GDT and DT has made this time. But remember, you can always go for our 'Anything Goes' theme. So find your small critters and create and share with us! I just love it. The papers are from Bo Bunny. The image is called ' She loves me'. A side view, I have decorated with the same border punch inside. The banner is made with a die from Magnolia. 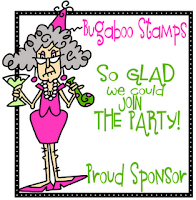 The sentiment is a digi freebie from Create with TLC, thanks a lot Paulette. I had to showcase this little happy looking fellow at the backside. 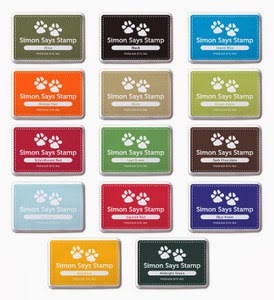 Premium Dye Ink Pads to one very lucky player! 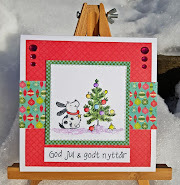 N for Numbers, DT card for ABC Christmas Challenge. We are up to the letter N and Helen is today's host. I have made a card using this super cute LOTV image 'Christmas Bunnies'. I love the edge die from Tim Holtz. In Norway we celebrate Christmas eve at the 24th of December. So the postmen here have one day less to deliver the mail. That may explain why he is in a hurry. use a House Mouse, Happy Hopper or Gruffie to join in. I have used a new Happy Hopper of mine called 'All Dressed Up'. Look how beautiful she is, wearing her best handbag and new shoes. The sentiment is a freebie from Create with TLC, thanks Paulette. The papers are from Echo Park, ribbon, and button from my stash. Do you notice the pearl necklace? I love this set of Spellbinder dies.